Identity theft is one of the top concerns keeping IT up at night. With highly sophisticated hackers on the prowl for users’ digital identities, it’s no wonder that IT admins feel like they are outgunned. 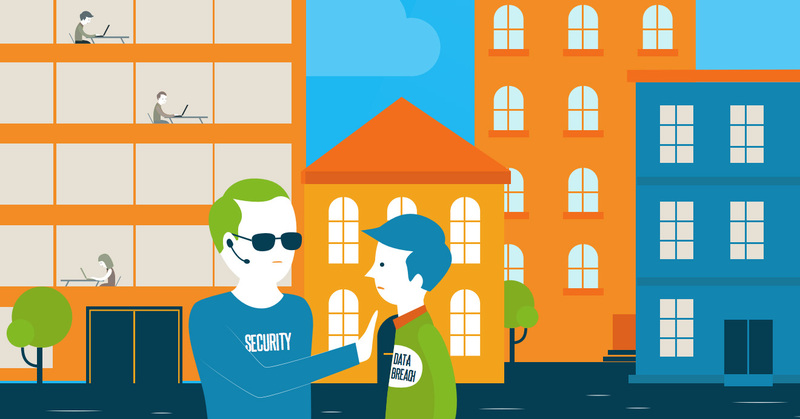 Since a hacker only needs to find one way into your network, you have to defend everything. Your organization is only as strong as its weakest link. That’s a tough position for IT organizations to be in. JumpCloud wants to help IT admins fight this battle, and we believe that there is no better way to help support the security of your end users than to leverage multi-factor authentication (MFA) to their logins. Directory-as-a-Service® (DaaS) integrates system-level multi-factor authentication (aka two-factor authentication) into an Identity-as-a-Service solution. Hackers are especially adept at compromising accounts and then leveraging those stolen usernames and passwords on other accounts. In fact, those types of identity compromises have led to 63% of all data breaches (idagent.com), including the big breaches that often make major headlines like Sony, Target, and eBay. Unfortunately, users are leveraging their same credentials across a wide variety of different sites. These credentials that are being used over a multitude of sites, are often the same ones that can access your sensitive company data across your entire network. There are a number of different ways that organizations have fought to protect those identities, including implementing stronger password algorithms through password complexity. These methods have helped, and are a significant step for all organizations to implement in order to ensure security. The core accounts – often those for your systems and email platforms – are at risk of being the conduit for your sensitive data. A stolen laptop can be easily compromised, and then can create an access point to a variety of different applications and data. The most significant security mechanism that you can use to combat this threat is to implement multi-factor authentication. Adding a second factor to the system’s login ensures that the device is far more secure. In addition to a user’s password, MFA forces the user to input a token generated by either a smartphone or key fob. Now, the user must know the password and have the MFA code in order to log into the system. That level of access is a significant step up in security. 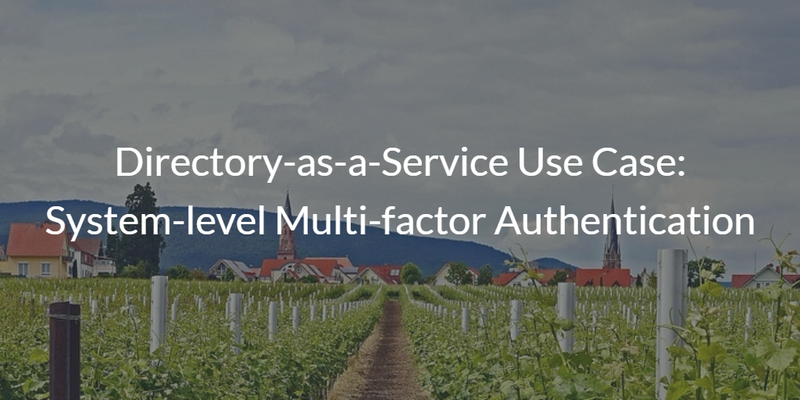 Multi-factor authentication has historically been an adjunct system to the core directory services platform. Because of this, Directory-as-a-Service recently included this capability in its platform. We know that having the ability to secure identities and add MFA to the login process of systems like Mac and Linux are crucial parts of connecting identities to the IT resources they need. If you would like to learn more about how you can leverage the Directory-as-a-Service use case of system-level multi-factor authentication for your benefit, drop us a note. Since your first 10 users are free forever, feel free to give DaaS a try for yourself. We also offer an enterprise-wide trial with our JumpStart program in which you get unlimited users for a set period of time.